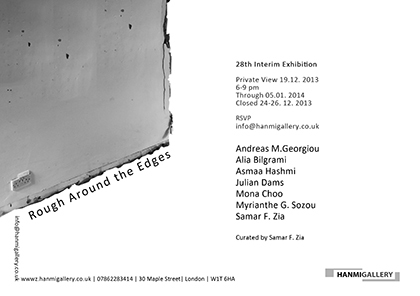 Hanmi Gallery is pleased to announce the 28th Interim Exhibition, "Rough around the Edges", showcasing the work of seven artists with varied subject matter inspired by the current state of Hanmi Gallery: derelict interior, rustic and mortal. Hanmi Gallery is pleased to announce its 26th Interim Exhibition, “The Others”, presenting works of four Chinese and Korean artists, who question the nature of individuality, solitude and the unreal in a group setting. Hanmi Gallery is pleased to announce the 25th Interim exhibition, “Breathing Space”, by a group of international artists responding to the above theme. Often times we feel the need to switch off, do nothing, say nothing and go nowhere. Hanmi Gallery is pleased to announce the 17th interim exhibition, “The Global Archive”, by four international artists, whose works put the question of the archive at the heart of contemporary visual arts practice.